Value. According to the dictionary: (1) the regard that something is held to deserve; (2) the importance, worth or usefulness of something; (3) a person’s principles or standards of behavior. We use the word a lot, too often to bemoan the fact we and our programs are not valued. But there are other ways this word comes into play. We are committed to our professional values as stated in ALA’s Code of Ethics and the Library Bill of Rights. In addition, some of you have your own professional values encapsulated in a Philosophy Statement which I discussed in a blog last January on the Value of Values. Translating this into the education world is relatively easy. The “core beliefs” are your philosophy. If you haven’t written one yet, you can base yours on the Common Beliefs of the new AASL Standards. The “top priorities” are what’s new. Do you know your top priorities? Those who are working from a strategic plan have at least two or three identified in their goals. But to what extent do those goals help you “identify with and connect to targeted customers?” In the case of the library, your customers are your students, the teachers, and the administration. Crafting a Values Statement is a new way to look at how you focus your program. The Free Management Library: Online Integrated Library for Personal, Professional, and Organizational Development has a web page on the Basics of Developing Mission, Vision, and Values Statements. Review what they have on Mission and Vision Statements, but once you have them, go on to the five steps that describe how to construct a Values Statement. The terminology may be a bit difficult to wade through at first but you will get the idea. 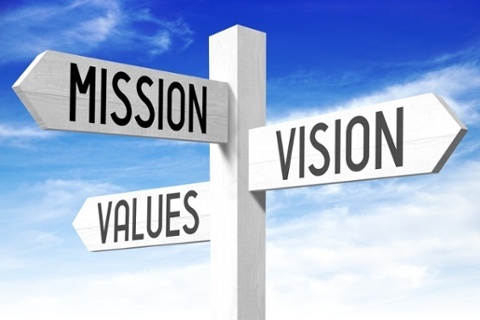 One of which is that Mission, Vision, and Values Statements are the foundation of strategic planning. And you all need a strategic plan so you are always working toward achieving meaningful goals. In other words, what does your program provide that no one else in the school does? And more importantly, what makes it of value to administrators, teachers, and students. Be sure you frame the statement in words your stakeholders understand. The simpler the better. 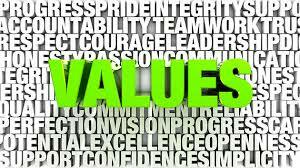 The Haverhill Public Library (MA) – its Board of Trustees, staff and volunteers – is committed to the following values. We value the library as a public forum: it is a community facility for open communication of ideas and information; its collection, displays, programs and services reflect an array of opinions and viewpoints. We value our customers by responding to them with equal, respectful, accurate and friendly service to all. We value reading and learning and promote both for all ages. We value full and equal access to information, the building, its services and its programs. We value the collection of and accessibility to information in all formats: print, electronic, audio and video. We value the community by being active participants in it, endeavoring to enhance the quality of community life. We value the privacy of our users by keeping their transactions strictly confidential. Note that some statements are about professional values while others are of value to the community. Your Values Statement – best done in a bulleted list as these are—should have a similar mix. I have long recommended that Mission and Vision Statements be framed and hung where anyone using the library can see them. Your Value Statement belongs on your website, but it’s a bit too long to do that. Instead, create a word cloud to display your Values. It will definitely catch the eyes of your users. What would you include in your Values Statement? 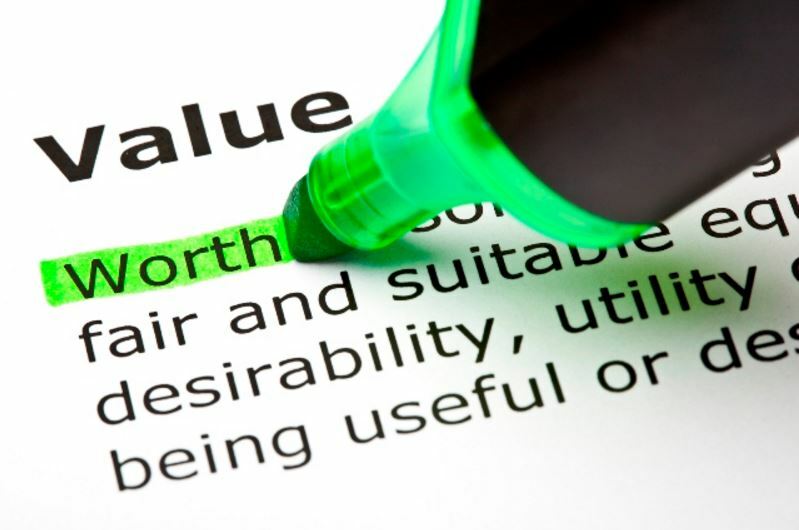 Which ones are of value to your stakeholders? Next Article ON LIBRARIES – Are You a People-Pleaser?